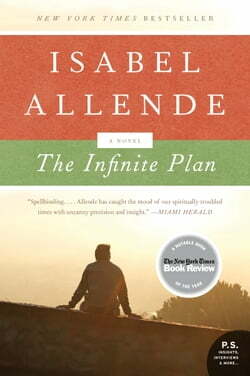 In The Infinite Plan, critically acclaimed, bestselling author Isabel Allende weaves a vivid and engrossing tale of one man's search for love and his struggle to come to terms with a childhood of poverty and neglect. It is the story of Gregory Reeves and his hard journey from L.A.'s Hispanic barrio... read more to the killing fields of Vietnam to the frenetic world of a San Francisco lawyer. Along the way, he loses himself in an illusory and wrongheaded quest, and only by circling back to his roots can he find what he is missing and what he wants more than anything in life.